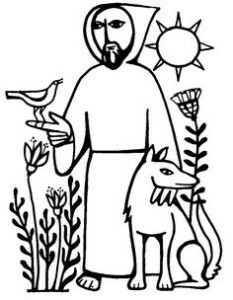 The Secular Franciscan Order, formerly known as the Third Order of St. Francis, is an official Order within the Catholic Church, established by St. Francis of Assisi early in the thirteenth century. By profession, Secular Franciscans promise to follow a Rule of Life approved and confirmed by Pope Paul VI in June of 1978. The St. Francis Fraternity meets every 3rd Sunday of the month from 2 to 4 PM in the Social Hall at St. Mary’s Basilica. All visitors are welcomed.